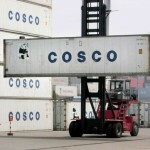 Reports that Chinese multinational Cosco has begun the sea transport of a massive 300,000-ton floating dock, which is destined for the greater Piraeus shipbuilding zone, is apparently just the “tip of the iceberg” in the company’s plan to jumpstart the sector. 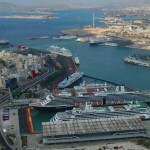 According to information obtained by “Naftemporiki”, the lack of large repair docks in nearby facilities – Skaramangas, Elefsina and on the island of Syros — has created a backlog of ship repair needs in the greater Piraeus maritime zone. 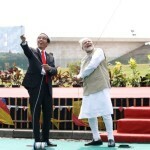 Nevertheless, the management of the Shanghai-based company has so far been mum on its plans and investments in the shipbuilding and repair sector. 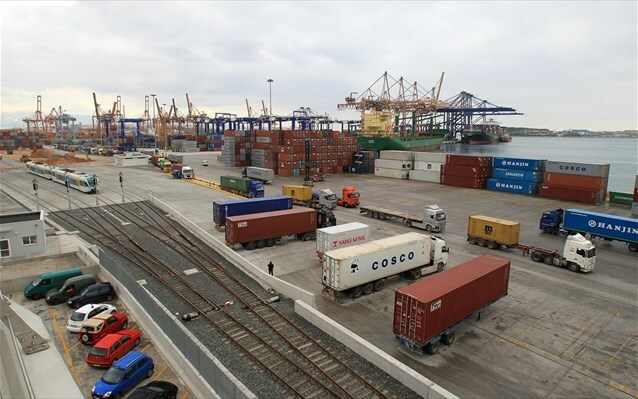 The Chinese shipping giant recently acquired a majority stake in the Piraeus Port Authority (OLP) and its management, after previously being declared the winner in an international tender for the port, one of the biggest and busiest in the eastern Mediterranean. Sources told “N” that the reason has to do with a low-key manner in which the specific multinational operates, and primarily the fact that several “open issues” remain unresolved. At the top of the list is a pending labor agreement between OLP’s new management and workers’ unions, one that will replace the current labor regime left over from when OLP was state-owned and managed. The same sources said all sides involved want to ensure that the new labor deal offers guarantees for a safe work environment, as well as to delineate the proper operation of whatever contractors have access to the large port area. “The Chinese also want the companies with which they work not to owe money to workers or the state,” according to the sources. 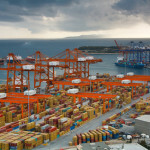 Another initiative being promoted by the Piraeus chamber is a simplification in the licensing of port contractors. 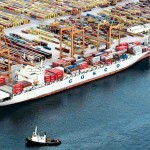 In the initial stage, Cosco is reportedly aiming to use Piraeus’ shipbuilding and repair capacity for its own fleet, as well as affiliated shipping companies. The goal is to transform Piraeus into a base for the shipping alliance that Cosco belongs to, sending the alliance’s vessels to Piraeus when they need repair and maintenance while sailing in the Mediterranean. 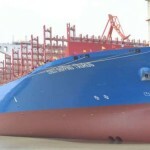 A second stage will reportedly market Piraeus to Greek-controlled shipping companies, a prospect, however, that will bring the Chinese company into direct competition with local ship repair yards. In the longer term, Cosco is reportedly banking on the new environmental regulations recently approved by IMO, regulations that entail major equipment upgrades for a majority of the merchant ships plying the oceans at present. The main emphasis will be the ballast water treatment convention, which according to IMO has already been adopted by 35.01 percent of the global fleet, as well as combining the use of LNG as a maritime fuel. Conversely, grumbling has also been detected in the ship-repair zone over the prospect of Cosco raising rates in the zone, although the response is that if Cosco’s implements the major financial layout and upgrades it has promised, then it will naturally try and recoup its investment.